Sound designer, sound programmer, engineer John "Skippy" Lehmkuhl creates his magic from his home in Portland Oregon. 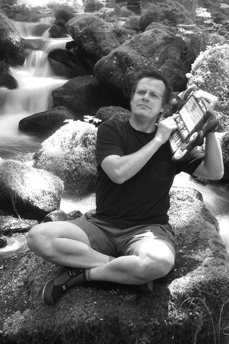 Since 1988, he has been one of a handful of sound designers that program sounds in Korg Synthesizers including the M1, O1W, Wavestation, Wavedrum, Trinity, Triton, OASYS, Z1 and more. John also has loop libraries for Stylus RMX sold worldwide and has worked as a custom sound designer for Mariah Carey, Madonna, Whitney Huston, Patti Austin, Ambrosia, The Yellowjackets, Kenny Loggins, McDonalds, Jack in the Box, Modelo Beer, Toyota and countless others. Some say he's a monkey with the beat everyone wants. Be sure to check out John's PlugInGuru site, which include excellent sounds and tutorials for Spectrasonics instruments!